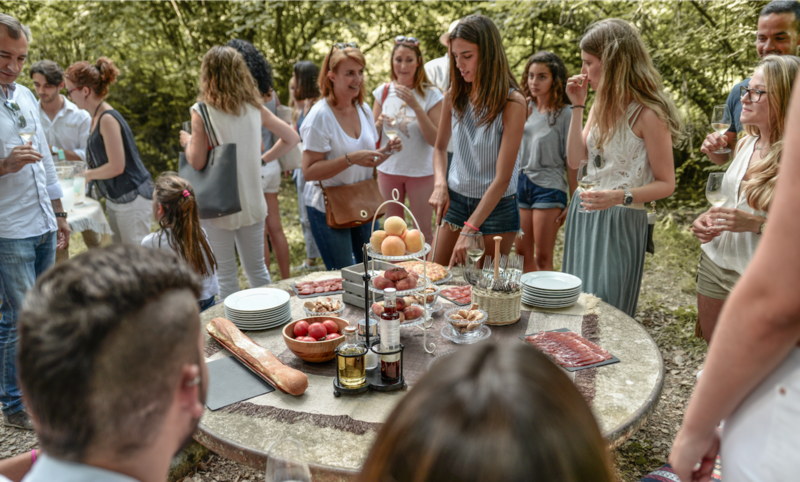 Experience enotourism at its finest with Cava Nadal’s phenomenal Mediterranean picnic on their luxury wine estate, in the stunning Penedès wine region. This four-hour experience is perfect for gastronomy and wine-lovers seeking temporary escapism from the hustle and bustle of the Catalan capital, and total immersion in the region’s local food and wine culture. In addition to the al fresco feast, enjoy a guided tour of Cava Nadal’s beautiful winery and vineyards, so that you can learn the unique production process behind cava and the Penedès wine region. However, if you favour an oak-aged red over a chilled glass of white, we recommend opting for one of Cava Nadal’s wine-making neighbours, as Cava Nadal’s emphasis is on creating high-quality cavas and whites. The visit begins in Cava Nadal’s remarkable vineyards, some of which are over 65 years old. Your charming guide will delve into how they create their top-quality vintage cavas, drawing inspiration from the méthode champenoise, and using the native grape varieties of Catalonia: Xarel·lo, Parellada and Macabeo. A subsequent trip to the barrel room and cava cellar, located over 20 metres underground, will provide an insight into the fermentation process, and the traditional philosophy of Cava Nadal. Rather than using machinery to carry out the daily rotation of the cava bottles, Cava Nadal continues to use the craft method of turning each bottle by hand, to ensure products of supreme excellence. But, what’s a visit to a wine oasis like Cava Nadal without sampling their wines? Enjoy some of their finest whites and delicate cavas, alongside a rustic, outdoors lunch amidst the breathtaking countryside of the Penedès wine region. Lovingly prepared by a nearby restaurant and presented in a wicker basket, enjoy a sumptuous array of artisan cheeses, cured meats, fresh bread, homemade Spanish tortilla and plenty of other delicious lunchtime treats. 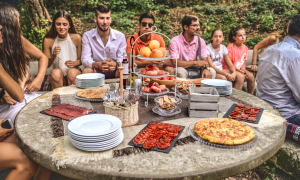 What’s more, the picnic even includes poached apples for dessert with tea or coffee, accompanied by one of Cava Nadal’s sweet wines. Simply delicious! This splendid day out at Cava Nadal takes place throughout the week, however check their website for specific days and times. What could be better than relaxing with your loved ones in the sublime Penedès wine region – ¡Buen provecho!